Braces have been around for a long time now and people are getting tired of the bulky metal braces. Although they work perfectly fine and the cheaper solution, there are a couple more different types of braces as well. Usually, braces must be worn for two to three years based on the seriousness of the issue on the patient. 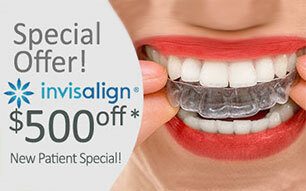 People acquire braces to resolve a multitude of orthodontic issues like alignment issues within the teeth. In our current times, the three different types of braces each have their own advantages over the others even though their function of applying pressure on the person’s teeth in order to correct a smile, stays the same. How Long Am I Supposed To Wear Braces? People always ask this question whenever they get their braces. How long am I supposed to wear braces? Well, looking at your braces you cannot automatically detect how long you got to wear them but, if you visit your orthodontist, you can get a professional’s estimation on how long you need them. This rough estimate will only happen if you keep up with your teeth upkeep properly. Braces are required extra time and focus to clean them. Brushing generally stays the same but you need to make sure you are doing it properly; however, flossing does need more work than ever before. To get all the food in between the brackets and other hard to reach places where a toothbrush will not get. Metal braces are the most popular type of braces out there, but invisalign and lingual braces are gaining momentum due to it preventing the metal showing when wearing braces. The regular and metal braces have allows you to fix your teeth the right way for the cheapest way possible. Very effective if you do not really matter much about how braces will affect your look. Lingual braces are the same as metal braces but placed on the opposite side of the teeth. They are great if you do not want to expose that you got braces. Lastly, invisalign is the most expensive one but they are the best ones if you do not want to show off having braces and it comes in a clear plastic material versus lingual and regular braces with metal. In conclusion, braces are a great way to start improving your smile. If you want to begin your adventure with braces at 89117, then call Streamline Orthodontics at 702-919-7244 now!